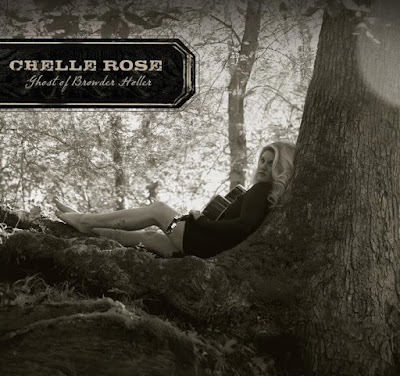 ALBUM REVIEW: Chelle Rose "Ghost Of Browder Holler"
With a hard-edged Americana sound and tight production (courtesy of Ray Wylie Hubbard), Chelle Rose bursts back onto the country and Americana music scene with a 12-song selection of fresh tracks that will quench the thirst of music lovers tired of pre-fab country pop on her new album titled "Ghost Of Browder Holler." The album begins with the terrific "Browder Holler Boy," which has cool Lucinda Williams meets Chris Knight vibe that fires on all cylinders. Chelle Rose's seasoned vocal performance is pitch-perfect, and the slide-guitar instrumentation also deserves special mention.